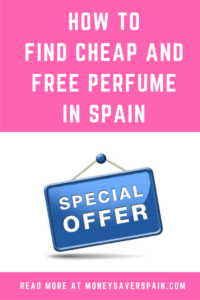 Perfume is not normally cheap, but there are lots of ways that you can bag a bargain, download a discount coupon and even get a freebie in Spain. 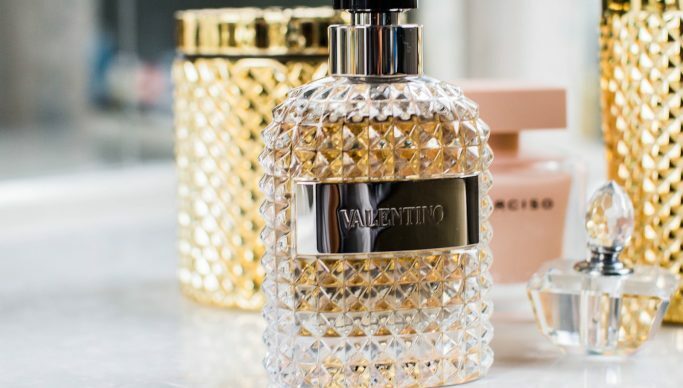 Copies of top fragrances are available in stores and supermarkets and by signing up to a couple of websites you’re guaranteed to get freebies during the year. These fragrances have numbers rather than names and are grouped as floral, musk, citric or fruity. Officially they’re not copies, that wouldn’t be legal!. Rather than wasting time smelling lots of them, just ask directly for the fragrance that smells the same as your favourite perfume. Equivalenza stores offer three sizes from 7.95€ for 30 ml. Most stores offer monthly promos on selected fragrances. Men’s, women’s and children’s fragrances have the same price; refills cost 1€ less for each size. Find Caravan fragrances in supermarkets and smaller stores across Spain. Available in 30 ml and 150 ml for both men’s and women’s fragrances. Whenever you visit a Sephora store, just ask for a sample of any perfume and they’ll empty some from the tester bottle into a sample size bottle. These are great to take if you’re travelling for a few days. You can try this at other stores such as El Corte Ingles or Douglas, sometimes it may work but it’s not guaranteed. The sales assistant will be more inclined to include a free sample if you make a purchase. Top brand fragrances for men and women are available at Amazon Spain. Use your phone when out shopping to compare prices in store with Amazon, remember to check if the Amazon seller applies a delivery charge. Sign-up to the Procter and Gamble website to get offers for free products, often actual size rather than sample size. You can also get lots of discount coupons too. Douglas: This store has taken over both Juteco and Bodybell stores in Spain. With the Douglas Beauty Card you’ll receive a 3€ voucher. FeelUnique multilingual site offers free worldwide delivery when you spend 40€. Most newbies will also see a pop-up on the screen offering a discount on your first order. The Body Shop: 20% off for newbies and 20% discount on your next order when you recommend a friend who makes a purchase – you’ll have to become a member of the free Love Your Body Club. L’Occitane en Provence: 3 freebies (sample sizes, includes fragrances) with every online order, newbies can get free delivery with their first order using code WELCOME. Even if you don’t want to make a purchase, it’s always a good idea to sign up for newsletters as you’ll get plenty of promos until you finally make a purchase. 1. Remember that in the MoneySaverSpain.com weekly newsletter we always have a round up of the latest free fragrance samples available. 2. Watch out for websites offering perfumes at ridiculously low prices as these are often testers or copies. Using fake fragrance or cosmetics can lead to skin reactions and other allergies. 3. Avoid people trading near outdoor markets who keep their products stuffed in a bag or even inside their clothes – they may be original products “fallen off the back of a lorry” or copies.